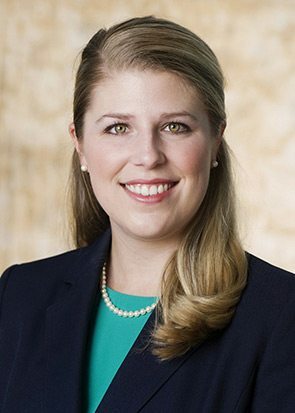 Erin provides research and works in the firm's practice areas, including real estate, construction, employment, general commercial litigation and corporate transactions. Erin was ranked in the top 15% of her class at the University of Alabama School of Law. While there, she served as operations editor or the Alabama Law Review from 2011-2012 and was a member of the student bar association, a full tuition academic scholar and competed in the Campbell Moot Court Competition. While studying for her undergraduate, she received distinction as the top 24 university student leaders from the Anderson Society, the top 31 women at the university from the XXXI, the Collegiate Woman of Leadership – Alpha Omicron Pi international award, the Most Outstanding Junior from the Order of Omega, and received a full-tuition Presidential Scholarship and Linly-Helflin Women’s Scholarship. Erin was also a member of the Alabama Panhellenic Association, serving as 2007-2008 President.